Bodybuilders and Strength athletes alike, I suggest you give this article a quick read. Understanding some of these principles for sustained strength gain will not only add to your ability to move more weight, but also to your capacity to lay on slabs of lean muscle!!…. Starting strength, StrongLifts, Greyskull… these are all great beginner programmes for everyone who wishes to get bigger stronger and faster. I unequivocally suggest one of these programmes to any beginner, whatever their priorities, as we all know by now, the foundation of good hypertrophy is always strength. That MUST come first. In fact, I believe the beginner is doing himself a disservice by proceeding with anything other than a strict strength programme right off the bat. 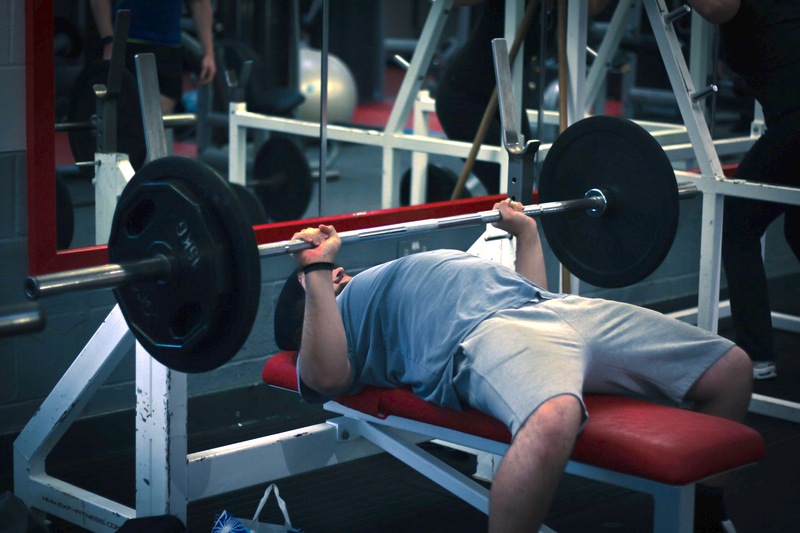 A strong foundation will allow you to make quicker progress in both size and strength when it comes time to switch to a hypertrophy type programme. On one of these Linear Progression type programmes, and untrained novice should be able to make strength gains until around about 1.2xBW Bench press, 1.5xBW Squat, and 1.8xBW Deadlifts before they start to slow. But beyond this level, where does the athlete progress? Many elect to switch to entirely Hypertrophy programmes with strength as a mere subsidiary component. This is one alternative. This article is my suggestion for the other alternative, continued strength training. By the time an athlete reaches this level of competence, they will know their capacity for strength progression and will realise that daily incrementation is no longer achievable. The beginner lifting programs are simply too fast for a stronger athlete to keep up with. As you near your genetic potential, growth in both strength and size slows to a crawl, BUT THAT’S OKAY, we know this is a marathon not a sprint. SO, let’s be clear, the following is a programme for the competent intermediate lifter, who has a solid foundation of strength and who can no longer excel on a Linear Progression. The Texas Method itself has a huge mass of literature around it, so I will attempt not to cover material that has been done before. I will instead explain why I believe this is the best program for any intermediate lifter, and why everyone should run this system when transitioning beyond a beginner lifting program. Based on the awesome ebook by Justin Lascek at 70s Big, the workout below has been moulded and tweaked to suit what I feel is a more complete Texas Method programme. First and foremost, the Texas Method is simply a set of principles, not a plug and play type program such as Madcow 5×5. This is the one of the many reasons I prefer it over its competitors. The foundational principle is using VOLUME early in the week, to drive INTENSITY at the end. Essentially, this means providing enough stress and allowing enough recovery to effectively drive consistent gains. The biological principles can be read about elsewhere but come down to the ideas of potentiation and periodization. All good strength training/powerlifting programmes are based around the big 3. 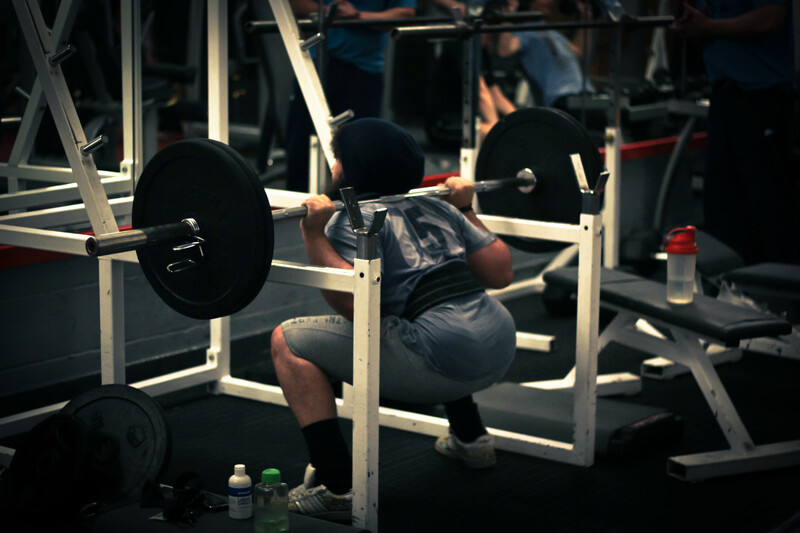 Squatting every day is the best way for an intermediate to progress as it hammers the technique and develops strong motor patterns around the movement. Swapping alternate weeks between Bench and OHP focus is an option, though I don’t prefer it personally. Deadlifts are performed only once a week due to their severe CNS drain. These deadlift sets combined with Squatting and well placed back work will drive your Deadlift just fine. Aside from these, assistance work each day is based on the movement patterns. For shoulder health it is important to pull in some capacity, every day that you push. 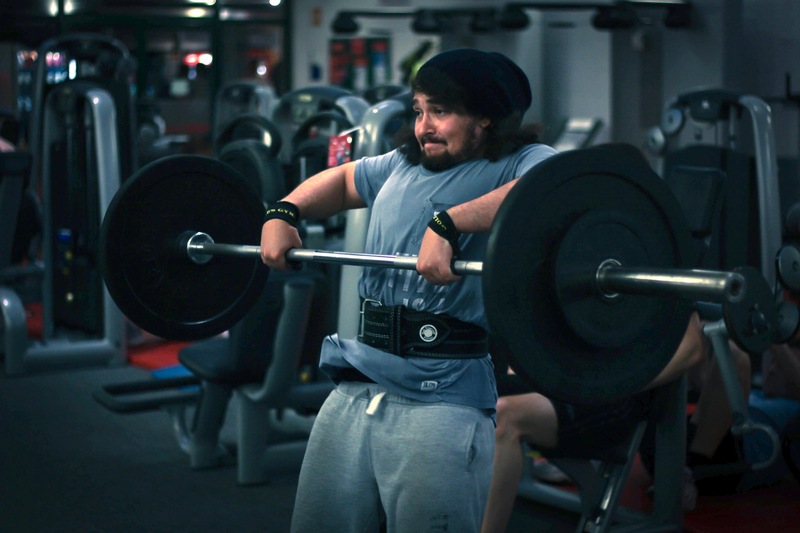 Hence the Bench-Face pull partnership. OHP can be replaced by Push Presses and is actually how I run it personally. It allows me to hit heavier weights and even some PRs on the rest day. 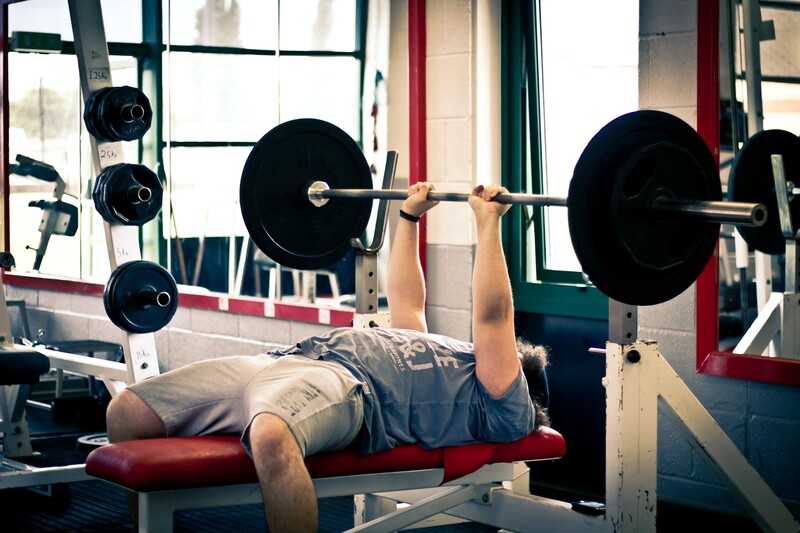 The Volume day benchpress work was derived from a need to add volume to the early week. The failure set is a great way to provide overload whilst the paused set engrains motor patterns and strength from the bottom of the lift. Both will also create a Hypertrophy effect. The volume and Intensity relationship is very closely monitored and should not be messed with. Trust in the programme is crucial as it may feel like less work than a bodybuilding split, ie. You wont feel super sore and pumped. This is GOOD, it means you are able to recover and build strength, which is the main point of this programme. Intensity day involves warm-ups and working up to a 5RM. This may seem like not enough volume, but the entire point is to consistently add more weight to these lifts, keeping it simple allows recovery and therefore progress. Texas Methods are about driving rep maxes, the most sustainable of these being 5RMs as they fall neatly between heavy weight and ability to recover. The assistance work is dealt with in rep ranges that are exercise appropriate. Intensity Day can eventually be changed to a 3RM formula. The Volume workout is designed to hit the muscle groups enough to grain in the motor patterns and create enough progressive overload to drive Intensity workout. The most important day is the Intensity day as here you will be pushing beyond your maxes. Here the progress is made. Because of this, after Volume day, the rest of the week is dedicated to Assistance and recovery to ensure freshness for Intensity day. Maintaining the relationship and recovery distance between these days is crucial, aside from this, these days can fall wherever convenient. The percentages are calculated based on a 1RM. 88% roughly equivalent to 5RM, and 80% being a good estimate of a 5x5RM. These are only used to calculate the first weeks weights. Each subsequent week of the program, 2.5kilograms is added to each of the big lifts. So that makes a 5kilo bi-weekly progression. When it comes to Bench and OHP, this may prove too much, so run it if it works, if not, then move to a 2.5kilo biweekly increase. This is a day include purely to help assist the main lifts. It includes exercise that couldn’t be fit in elsewhere in the week. Mainly Back/Traps development and some targeted arms work. These exercises are designed to develop areas of the lifts which may be weaker. The arm work will help lockout on the bench press, and the back work will aid structural integrity in both Squat and Deadlifts. It can be removed if you so wish. I suggest that stretching, mobility work and foam rolling become a key part of every lifters schedule. This is especially important when dealing with the frequency and Intensity prescribed here. When you fail to hit prescribed numbers, option 1 is to retry next week. Failing again next week is a sign that something may be wrong. Diagnostic changes in early week volume can often overcome stalled lifts on Intensity days. Manipulating these days is a science and must be carefully done. Justin Lascek has a great section in his ebook on how to diagnose issues and resolve them. However, eventually a deload will be necessary. At this point, 1RMs should be calculated or tested and subsequently used to determine where to begin from after the deload week. I believe this programme, if followed as written and accompanied with strong diet and recovery programmes, can allow strength athletes to progress constantly through the Intermediate and toward Advanced stages. I see no reason why any athlete couldn’t progress to 300lb bench, 400lb squat, 500lb deadlift and well beyond before having to change things up again. The Texas Method is a solid, tried and rested regimen and when tweaked and adjusted to fit the athlete, is the ideal programme to build power and strength. TRY IT, you will be happy you did! When asked by the boys to write for Train Eat Gain, the answer was a no-brainer. Having grown up together training with Ben, we have shared a lot of the same successes and failures. Whilst I am no fitness model, my knowledge and experience falls primarily in the fields of strength training and performance. I hope TEG can help you avoid the mistakes we made along our own road to self improvement.